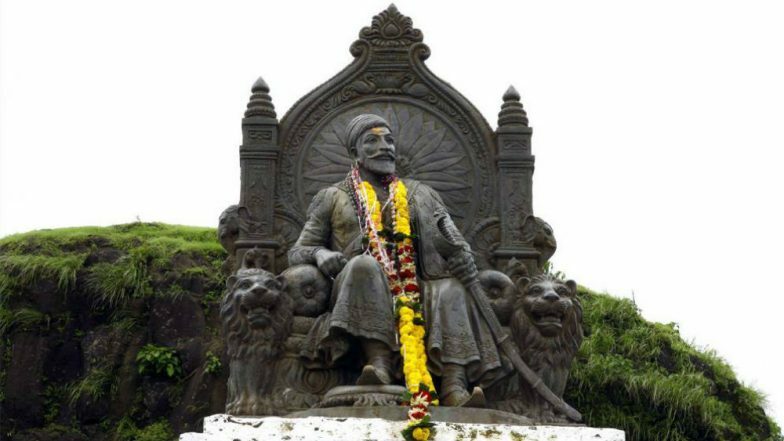 Mumbai, April 3: Today marks the 339th death anniversary of Maratha warrior king Chhatrapati Shivaji. Born on 19th February, 1630, Chhatrapati Shivaji is known for establishing an empire based on Swarajya values and Maratha heritage. His unmatched administrative skills and war tactics earned him the title of Chhatrapati. Remembering the greatest Maratha ruler on Punyatithi or death anniversary, here are some interesting facts about Shivaji. Chhatrapati Shivaji was the first to realise the importance of having a naval force. He constructed forts at the coastline and built a naval army. Forts at Jaigad, Vijaydurg and Sindhudurg among others prove how strategically he secured the Konkan side of Maharashtra. His naval army has some 400 military ships when the Maratha empire was expanding. Maharashtra Not to Include Anniversaries of Chhatrapati Shivaji Maharaj, Rajarshi Shahu, Mahatma Jyotiba Phule, B R Ambedkar from 2019 Calendar. Many believe Shivaji was named after Lord Shiva. However, the truth is he was named after a regional Goddess Shivai. His mother prayed to the goddess for a son and was blessed with one. That's how, Shivaji got his name. Contrary to popular belief, Shivaji was a secular ruler. His motive was to end the Mughal rule and establish a Maratha empire, but he was never against Islam or Muslims. Needless to say, Shivaji has a large number of Muslim soldiers. Some of his confidants were Muslims too. Chhatrapati Shivaji Statue in Sea to Cost Maharashtra Exchequer Rs 3643.78 Crore. Shivaji had great respect for women and their rights. He abhorred violence, harassment and exploitation of women and punished those who violated their rights. He had ordered the respectful release of women of captured territories. Shivaji understood the geography of Maharashtra and used it strategically during wars. His guerrilla warfare tactics earned him the title of 'Mountain Rat'. Under his rule, his father's 2000 soldier army expanded to 10,000 soldiers.